Ezy Dog – CLICK CLACK front and … bark? So if you have been following Sausage & Sanchez for a little while now you will know that I like to make coats and accessories for Odie Sanchez & Hans Sausage. I have also been honoured and lucky enough to make coats, bandanas, bags and toys for lots of Dachshunds, Chihuahua’s and small breed dogs all over Australia! There is one thing I am yet to master though throughout all of my tinkering and that is HARNESS’S. Odie & Hans come just about everywhere with me. Shopping, to CrossFit, even to work! In order to keep the little rascals safe I found a travel car harness to avoid them bouncing all over the place while I am trying to drive. 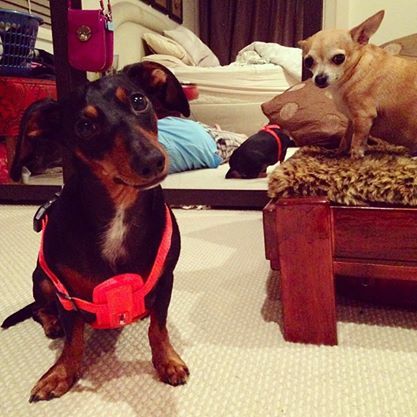 I have purchased these contraptions many times and while Odie sits tight and puts up with not being able to sit on my lap Hans Sausage, (with his annoying Daxie determination) has chewed through many a harness and is back on my lap in record speed. So I decided to try an Ezy Dog Harness with Car Restraint These bad boys had him sitting pretty and he is yet to escape! WIN! 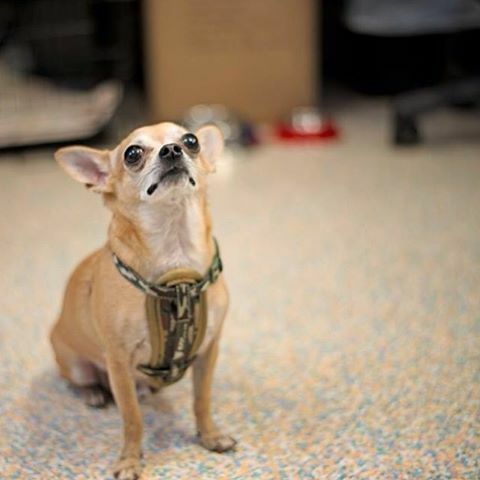 The Car Harness can also be used for general walking by attaching a lead. It is Industry Award Winning which pretty much says it all. The unique molded chest plate I learned even forms to your dogs chest creating a custom fit. It also rides lower on Han’s chest which apparently disperses his weight so it is easier to walk him. As you can see Odie was very unimpressed when he didn’t receive one so back to the shop I went for his own tough guy chest plate. 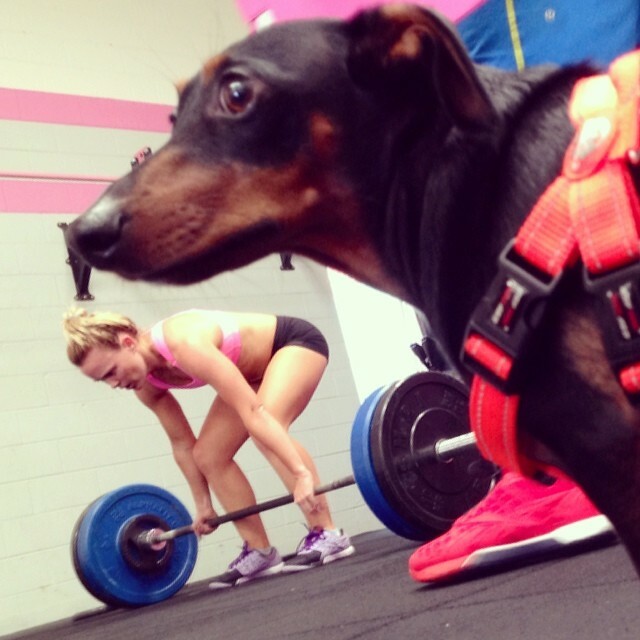 Hans is now getting to visit the CrossFit Box again since he is able to travel safely. Keeping your animal safe in your car is very important. In QLD drivers can be issued a $256 fine for driving with an animal on their lap so do yourself and your pet a favour and get a car restraint. The Queensland Road Rules (QRR) do not specifically require an animal to be restrained while travelling inside a vehicle. In other words, carrying an unrestrained dog inside a vehicle is not an offence. However, section 297 of the QRR provides that a driver must not drive a vehicle unless they have proper control of the vehicle, and also that a vehicle must not be driven if an animal is in the driver’s lap. An offence under this section carries a fine of $256 and a maximum court penalty of $2,200. While there is no legal requirement to restrain a dog that is travelling inside a vehicle, the Department of Transport and Main Roads recommends that all animals should be restrained in some way to ensure the safety and welfare of all occupants of the vehicle and of the animal itself.